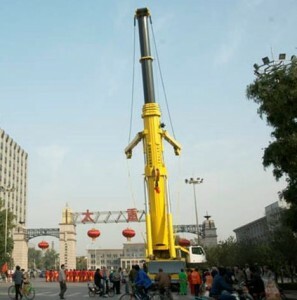 Chinese heavy engineering company Taiyuan Heavy Industry (TYHI) showcases its 500 tonne TZM500 All Terrain crane last month. The new crane features a seven section 84 metre main boom with superlift guying system and is aimed at wind turbine erection, petrochemical, nuclear power and commercial construction work. 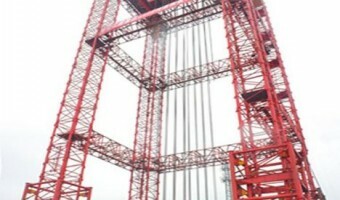 The company, part of the TZ group, is best known for its range of heavy industrial overhead cranes, although it has also built one or two large crawler cranes and recently launched a 6,400 tonne four tower gantry crane for lifting reactor vessels. It also produces large shovels for the mining industry. The company has little to no experience with All Terrain cranes but showed off the prototype to employees on October 12th. 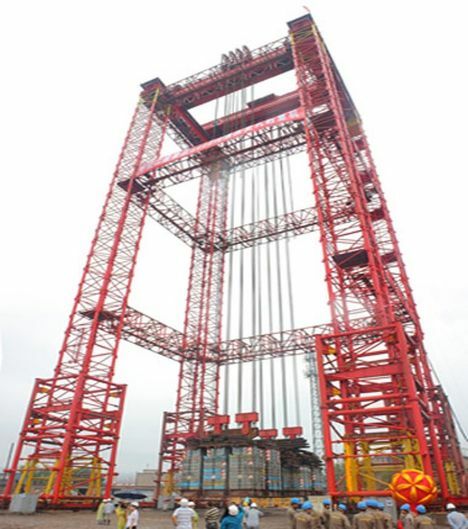 It already has a 660 tonne crawler crane on test and claims to have begun manufacturing a 1,200 tonne telescopic crawler crane – the TZT1200 – and plans a wheeled version, the TXM1200.